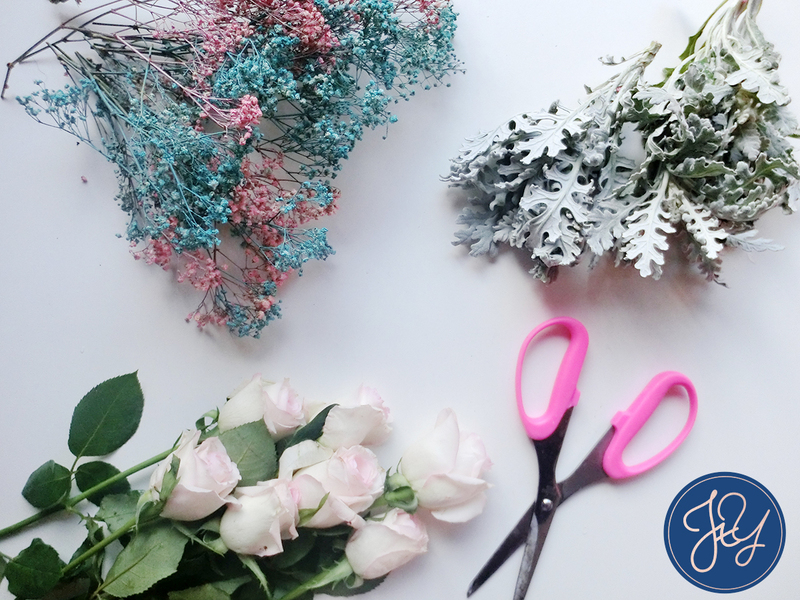 So, You & Co. bundled up three different bouquets catering to three different girls! 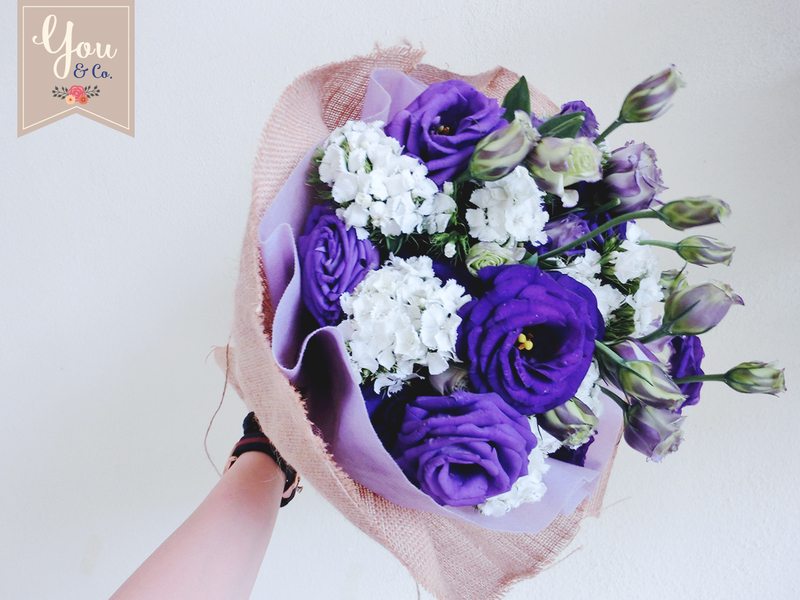 Cherrie, the girl who loves purple received a bouquet of Purple Eustomas alongside White Sweet Williams. Delivered and surprised in the office on the first working day of twenty fifteen! Sook Yan loves all things green and yellow. 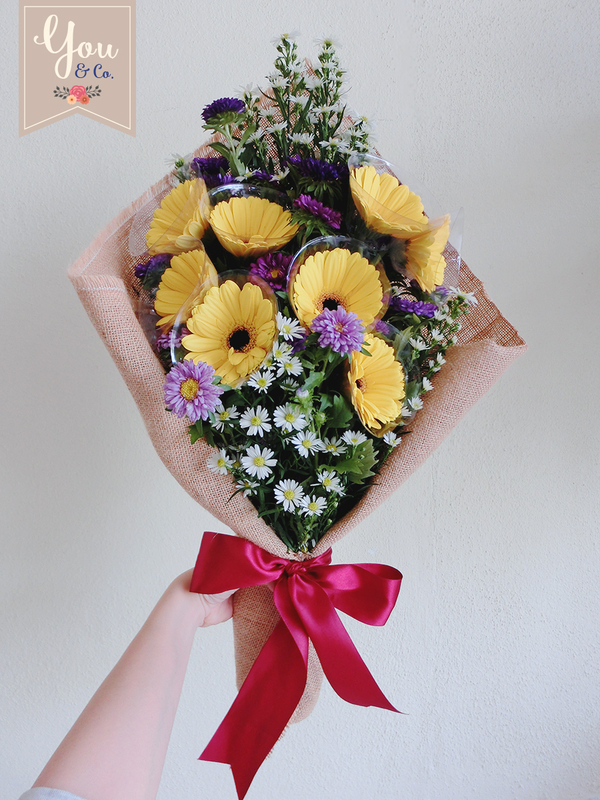 Hence, we decided to bunch some beautiful sunny Yellow Gerberas together with Purple Asters and White Baby Daisies. Best part? We placed it on her desk while she was away! Nicole, on the other hand, is that girl who dons in dark-coloured clothing but loves all things pastel. 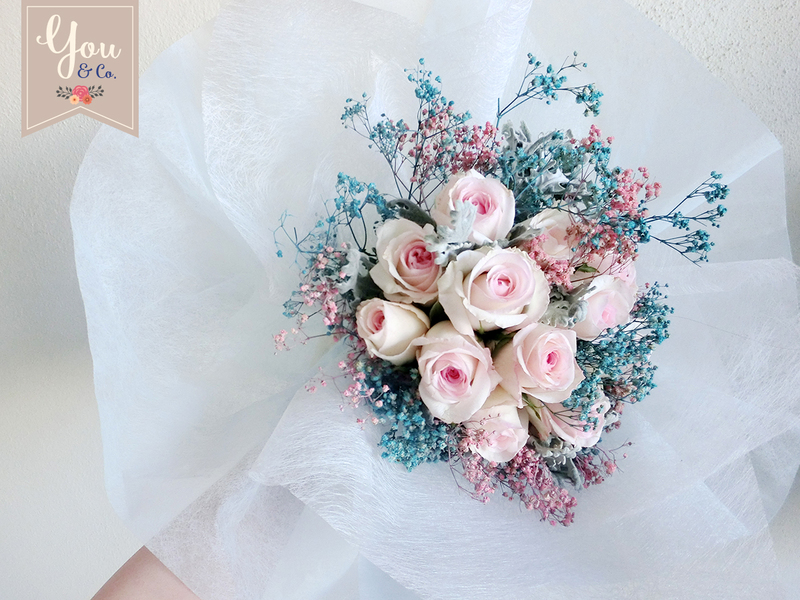 So, this darling girl received a bouquet of Pastel Dual-Tone Roses accompanied by Pastel Blue and Pink Baby Breathes! Not forgetting her favourite Dusty Millers! 1 comment on "You & Co. | One Month x Three Bouquets"